I started with a 5&1/2" by 4&1/4" base of white cardstock. I used Scrap Happy Glue to add a 5&1/4" by 4" piece of gray cardstock. Next I cut a 4" by 3&1/2" piece of green grid pattern paper, and glued a 4" by 3" piece of black diamond pattern paper to this piece. Then I glued it to the card front about 3/8" from the bottom of the gray cardstock. Cut a piece of white cardstock 3&1/2" by 2&1/4" and randomly stamp with the honeycomb stamp in Pumice Stone Distress Ink. Stamp the hello sentiment in Memento Black Tuxedo ink on the right near the top. Tie a bit of black seam binding ribbon around the bottom of this piece. Next stamp the bee using Memento Black Tuxedo ink. Once on white cardstock and fussy cut out. Brush with a bit of Black Soot Distress Ink and color in the body using a gray color (I used the Pumice Stone Distress Ink Marker). Then stamp the bee on green floral pattern paper and just fussy cut the wings. Glue these to the bee using Scrap Happy Glue. 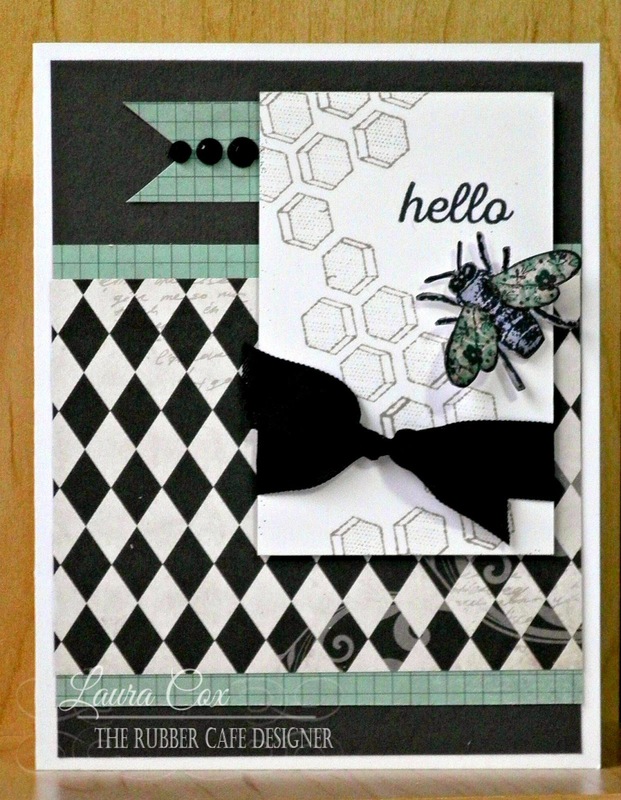 Foam tape the bee below the "hello" sentiment and add the finished panel to the card. 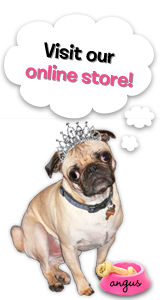 Add a small banner cut from the green grid pattern paper, and add black rhinestones. Thanks for stoppin' by the cafe' today! Stop back soon for more inspiration!! Queen and Co. rhinestones, seam binding.